There was some quick hand sculpting on the sign, particularly the edges and scrolls to even things up, get rid of glue lines between the layers of Precision Board and add some woodgrain to the sides of he boards. 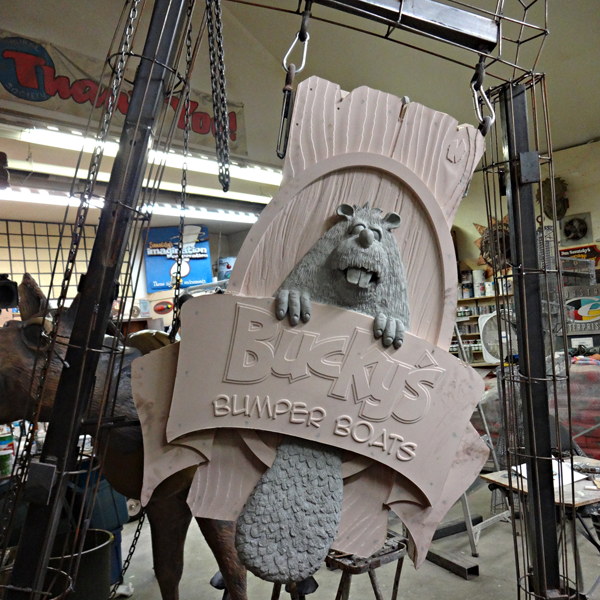 Then it was time to sculpt the beavers using sculpting epoxy. 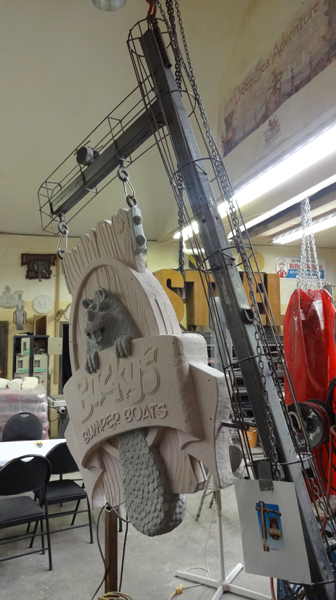 The two beavers took about two hours per side to sculpt. I also sculpted the two ‘metal’ tabs on the side and added epoxy rivets. I still have to add the rivets around the oval and do a little more die grinder carving to finish things off.